Looking for a unique gift that won't break your budget? 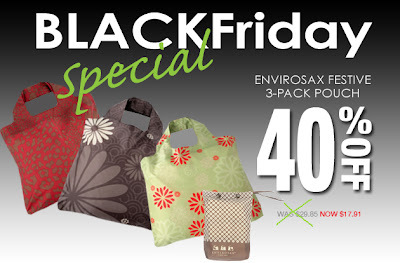 Check out our Black Friday Special! 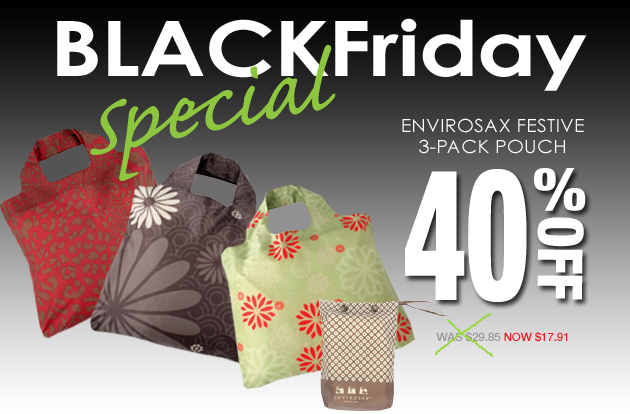 Take 40% off our Limited Edition Envirosax Festive 3-Pack – the perfect teacher's gift & ideal for any shoppers on your list. Use code BLACKFRIDAY. Hurry - limited quantity available!